WIESBADEN, Germany -- 1st Armored Division's commanding general Maj. Gen. Terry A. Wolff and Command Sgt. Maj. William Johnson case the division colors during a ceremony here today. After nearly 40 years in Germany, "Old Ironsides" headquarters, with approximately 700 Soldiers, will be moving to its new home in Fort Bliss, Texas. This move is one of the last major actions in the transformation process U.S. Army Europe began in 2003. The end of the war for the Fifth Army (MTO), and for the 1st Armored Division, came on the afternoon of May 2, 1945. The surrender agreement provided that the fighting in Italy should end officially at Noon, but the actual orders took several hours to find their way down to the troops. Generally, the Division was in North-Central Italy, along Highway #11, between Novara and Vercelli. In June, the Division, along with a number of others, received a new assignment. The Division was to move from Italy to Germany and there take up occupation duties. Leaving behind all 85 point men, and better, and the tanks, etc., the Division, loaded on trucks, moved into Germany. The route was from VERONA, via TRENTO and BOLZANO, through the BRENNER PASS. From INNSBRUCK, in Austria, the unit drove down the Isar River, through MUNICH, and then north-westward through AUGSBURG to (SCHWÄBISCH) HALL. Once in Germany, the Division was reassigned to XXIII Corps and the Seventh Army and shifted north-westward to the DARMSTADT Landkreis to cover 279 square kilometers and some 12 towns. Headquarters was at Darmstadt. In mid-November, 1945, the Headquarters was moved south-eastward to (SCHWÄBISCH) GMÜND. The area which the Division was policing was constantly widened as the US forces in Europe and Germany were being constantly reduced due to re-deployment homeward. On March 30, 1946, the Seventh Army was inactivated, with the Third Army, Lt Gen Lucian K. Truscott commanding, taking over all occupation duties. 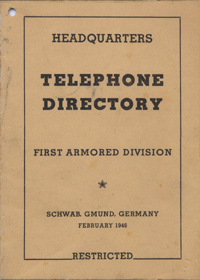 Conversion of the 1st Armored Division into the Constabulary was carried out through the spring of 1946. The Division Headquarters and Headquarters Company, with other units, was reduced to mere 'paper' entities and brought back to the States by Maj Gen Hobart R. Gay through the New York POE and inactivated on 26 April 1946 at Camp Kilmer, NJ. 27th Armd FA Bn Wiesloch 27th Con Sqdn Bad Brückenau? 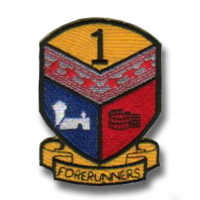 On September 20, 1947, all of the above units were inactivated except for the 72nd Con Sqdn which was inactivated sometime in December 1947. On 20 December, 1948, via 'paper' transfers, the 1st Con Sqdn was re-activated, relieved from the Constabulary, re-designated the 1st Medium Tank Bn, and then inactivated, all on the same day. The 12th Const Sq was redesignated as the 6th Inf Regt (minus 2nd and 3rd Bns) on 10 Oct, 1950. The 11th Const Sq was redesignated the 11th AIB on 7 April, 1949 and then redesignated the 2nd Bn, 6th Inf Regt on 10 Oct, 1950. The 14th Const Sq remained active until 20 Dec, 1948, when it was redesignated the 14th AIB and inactivated. It was subsequently redesignated the 3rd Bn, 6th Inf Regt on 10 Oct, 1950. The entire 6th Infantry Regiment was shortly thereafter activated for duty in Berlin. (After the VE-Day, the 1st Armored Division was) generally located along Highway #11, between Novara and Vercelli. In June, the Division, along with a number of other units, received a new assignment. The Division was to move from Italy to Germany and there take up occupation duties. Leaving behind all 85 point men, and better, and the tanks, etc., the Division, loaded on trucks, moved into Germany. The route was from Verona, via Trento and Bolzano, through the Brenner Pass. From Innsbruck, in Austria, the unit drove down the Isar River, through Munich, and then north-westward through Augsburg to (Schwäbisch) Hall. Once in Germany, the Division was reassigned to XXIII Corps and the Seventh Army and shifted north-westward to the Darmstadt Landkreis to cover 279 square kilometers and some 12 towns. Headquarters was at Darmstadt. In mid-November 1945, the Headquarters was moved south-eastward to (Schwäbisch) Gmünd. The area which the Division was policing was constantly widened as the US forces in Europe and Germany were being constantly reduced due to re-deployment homeward and to the Pacific. On March 30 1946, Seventh Army was inactivated, with Third Army, Lt Gen Lucian K. Truscott commanding, taking over all occupation duties. Conversion of the 1st Armored into the Constabulary was carried out through the spring of 1946. The Division Headquarters and Headquarters Company, with other units, reduced to mere 'paper' entities, were brought stateside by Maj Gen Hobart R. Gay through the New York Port of Embarkation and inactivated on 26 April 1956, at Camp Kilmer, NJ. Several years ago, this plaque was listed on a well-known online auction website. to its outgoing division commander, Lt Gen Glenn K. Otis, aka "ECLIPSE 6." 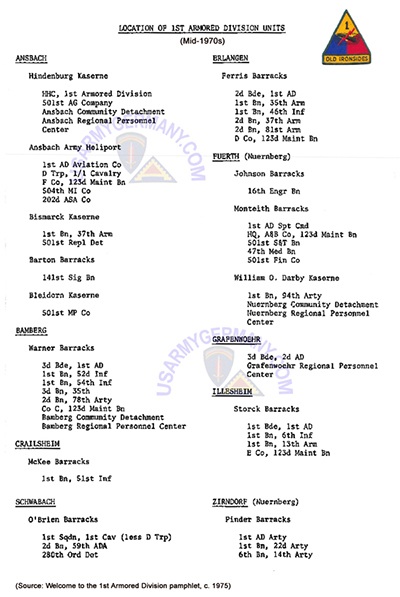 The list was part of a Welcome pamphlet issued to Thomas Parrish when he arrived in Germany in 1977 and was assigned to D Company, 123rd Armored Division at Ferris Barracks, Erlangen. For more information from Tom on D Company, click here. Building 5350, Headquarters, 1st Armored Division, during Christmas 1982. 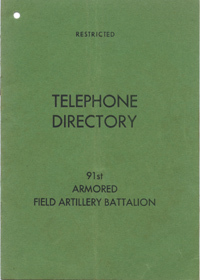 Since 1940 the 141st Signal Battalion has been doing its part in helping the United States Army and the 1st Armored Division by providing communications during war and peacetime maneuvers. The 141st Signal Battalion was activated on June 1, 1940 at Fort Knox, Ky., as the 7th Troop (Mechanized). It was redesignated as the 47th Signal Company (Armored) and assigned to the 1st Armored Division. The company went through extensive training including the Louisiana Maneuvers in 1941 and then embarked with the 1st Armored Division for Northern Ireland. 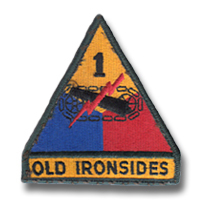 On Aug. 12, 1941 the unit's designation was changed to the 141st Armored Signal Company. After further training in Ireland, segments of the 141st supported Combat Command "B" in the invasion of North Africa. The 141st supported the 1st Armored Division as it fought its way across the African Coast capturing Oran and cleaning out Tunisia. It joined the elements of the Division to form the spearhead in the battle of Kasserine Pass. After the African campaign, the 141st moved into Italy, landing at Salerno and Poestum. It fought with the 1st Armored Division at Anzio, Rome, Naples, and the Po Valley, and was with the Division when it captured Milan. After the collapse of Germany it stayed with the 1st Armored Division which was chosen as one of the occupation forces. In Feb. 1946, the War Department brought the Division back to Camp Kilmer, N.J., and on April 26, 1946 the 141st was inactivated. A new national emergency brought back the 141st on March 7, 1951, with official reactivation taking place at Fort Hood, Texas. 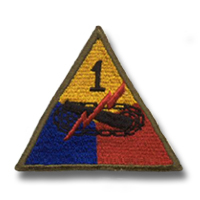 February thru April 1952 found the 141st participating in Exercise LONGHORN, the largest maneuver in ten years, providing communications for the 1st Armored Division and playing a prominent role as one of the defending units of the United States. 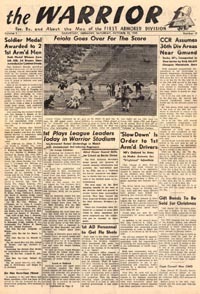 In May 1954, the 141st participated in Exercise SPEARHEAD held at Fort Hood, Texas. 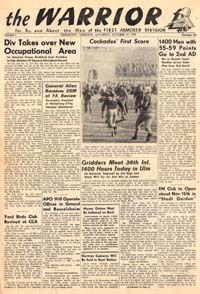 In October 1954 the 141st reorganized and remained in preparation for testing new tables of organization and equipment. 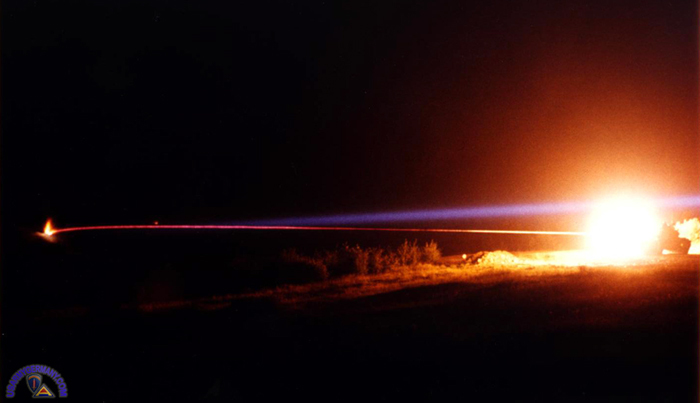 The test came during Exercise BLUE BOLT held at Fort Hood in February 1955, and subsequently during Exercise SAGE BRUSH held at Fort Polk, La., during the period October-December 1957. The 141st Signal Battalion remained at Fort Polk following exercise SAGE BRUSH. In May 1957 it participated in Exercise SLEDGE HAMMER held in the Louisiana Maneuver Area. 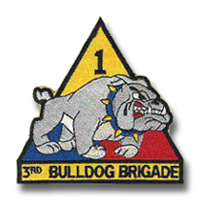 The Battalion was again inactivated on December 23, 1957. 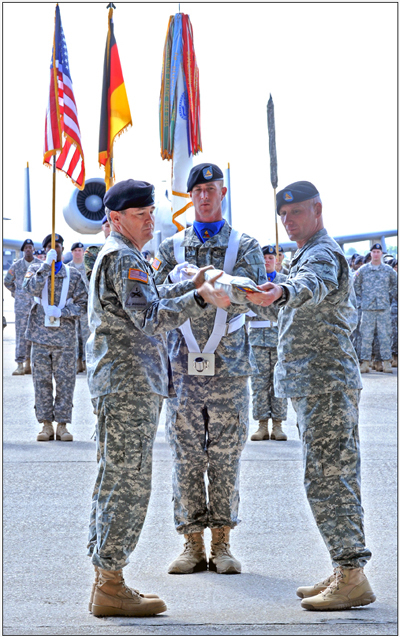 The 141st Signal Battalion was reactivated at Fort Hood in 1960 as an element of the 1st Armored Division and has been engaged in continuous training since that time. The battalion has participated in numerous exercises including THUNDER BOLT, SWIFT STRIKE III, DESERT STRIKE, BLUE STAR I, II, and III, SILVER HAND, CABALLO BLANCO, and IRON KNIGHT I and II. 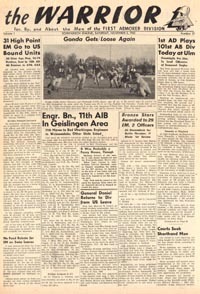 The 141st Signal Battalion demonstrated the peacetime usefulness of the U.S. Army in September 1965 by providing communications to disaster relieve forces in Louisiana following Hurricane Carla and again in September and October 1967 by providing communication to TASK FORCE BRAVO in the Rio Grande Valley after Hurricane Beulah, for which a letter of appreciation was received from the Task Force commander. 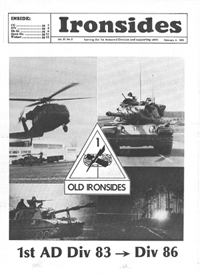 During the year 1968 the battalion supported the Division in numerous field exercises, deployed in support of civil disturbance control forces, and performed all missions in a superior manner and winning the Gen. Bruce C. Clarke Award as the battalion which contributed most toward the overall mission of the 1st Armored Division. The battalion spent May and June of 1969 supporting Army Training Tests of all maneuver elements of the Division, and receiving an excellent rating on their own Army Training Test, conducted during the last two weeks of June. 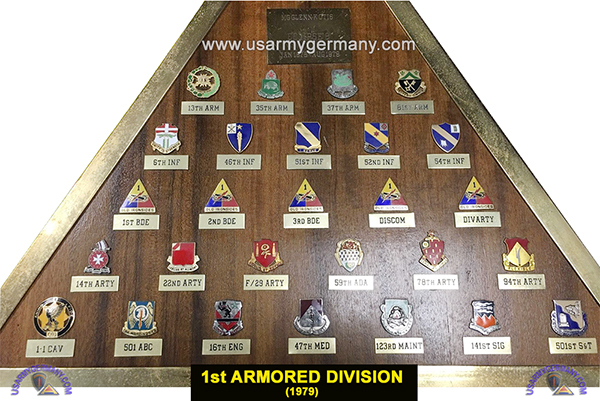 On May 10, 1971 the 141st Signal Battalion assumed the mission of the 144th Signal Battalion in the Federal Republic of Germany as a result of the deactivation of the 144th Signal Battalion and the 4th Armored Division. In August 1971 the first elements of the 141st restationed from Goeppingen to Ansbach and shortly thereafter the battalion moved to the field for a pre-exercise CPX and REFORGER III. During this exercise the 141st underwent its annual Organization Readiness Test. 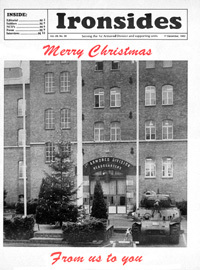 During January 1972 the remainder of the 141st, with the exception of a rear platoon, was moved to Ansbach where it has remained until the present time with one platoon of C Company stationed at Monteith Barracks, Nuremberg and the majority of the battalion at Barton Barracks in Ansbach. The Battalion has participated in every REFORGER exercise since 1971 either participating or providing Umpire or Controller communications. Monthly field training exercises since 1974 have been the training highlight with the major portion of the battalion providing communications to the 1st Armored Divison and subordinate units during Division, VII Corps, 7th Army, USAREUR and NATO exercises. This year during REFORGER the 141st Signal Bn. once again supported the 1st AD effectively. "During REFORGER we provided excellent command and control communications for the Division," said Sgt. 1st Class David Lamb, battalion PAC supervisor. "We were able to provide communication which enabled the field commanders to maintain the momentum necessary to react quickly to the ever-changing scenario on the modern battlefield. Without our commo support, the most modern equipment in any of the maneuver battalion's cannot be utilized effectively." Lamb summed it up when he said, "A commander who cannot communicate cannot win." The 141st Signal Battalion serves with the 1st Armored Division as an important element of the NATO Forces stationed in Europe and is dedicated to maintaining world peace. In the future the 141st Signal Battalion hopes to support the 1st Armored Division and the U.S. Army as they have over the last 40 years. "The 141st Signal will continue to modernize its equipment in keeping with the latest developments in tactical communication concepts," Lt. Col. Thomas J. Durfee, battalion commander said. "In 1983 all electromechanical teletype machines in radio-teletype and message center shelters will be replaced with solid state electronic printers which will result in greater reliability as well as faster processing times. User-to-user terminals such as the Tactical Computer Terminal (TCT) and other machines capable of direct radio transmission of anything written or drawn on a piece of paper will significantly reduce message handling times." Durfee went on the explain other new equipment. 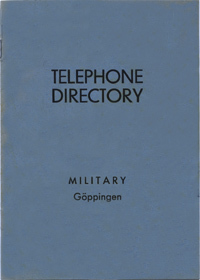 "Division 86 equipment includes fire tactical satellite terminals for use between division command posts and major subordinate commands allowing the secure transmission of voice and teletype signals among these tactically displaced CPs without regard to the terrain (line-of-site) restrictions presently encountered. Also, the wheeled vehicle fleet will be replaced with diesel fueled commercially produced trucks, Development of a wheeled armor vehicle for signal systems is currently going on. As these new items are fielded the 141st Signal Battalon will adopt new maintenance and training programs to insure a smooth transition to the updated equipment." The commander said that one thing will never change and that is the human element. "No matter how well we design our equipment to utilize technilogical advances, we will always require soldiers with the will to operate complex electronic systems in combat. They will have to be highly trained, skilled professionals capable of problem isolation and immediate correction." Wrapping it up Durfee said, "They will have to be more `system oriented' than they are today - each individual must know his particular task fits into the overall system and the impact of a seemingly isolated malfunction." Tomorrow's 141st Signal Battalion will be better equipped to continue the proud history being made by today's soldiers.